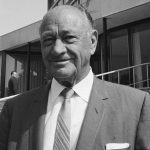 As Hilton heads toward its 100th anniversary in 2019, new research shows the impact the first global hotel company has had around the world, including in the Asia Pacific region where it is one of the fastest-growing global hospitality companies. In a new book titled The Hilton Effect, Stanford Business professor and best-selling author Chip Heath takes a close look at the company founded by Conrad Hilton, a dreamer who aspired to accomplish much more than to create a comfortable place to sleep. To mark the new book’s launch, a series of films have been developed telling the stories of the Hilton Effect across Asia Pacific and beyond, now available at fortune.com/thehiltoneffect. Hilton entered the Australasian market in 1974, with the opening of Hilton Sydney. The region has since expanded to 25 operating hotels and the chain plan to double its footprint over the next five years, with seven hotels already in the pipeline. The past year has seen the introduction of the Curio Collection by Hilton brand in Australia with the opening of West Hotel Sydney, as well as the recent opening of Hilton Port Moresby, the company’s first hotel in Papua New Guinea. 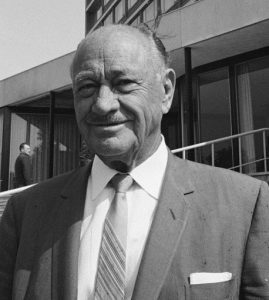 “We believe the world is a better place because Hilton was born into it one hundred years ago,” Alan Watts, president, Asia Pacific, Hilton, stated. Since then, Hilton has influenced guests by easing travel and broadening perspectives – changing travel as we know it through a century of firsts, from air conditioning to a mobile-centric hotel room; creating the modern business travel industry; and innovating the guest experience, from the first concierge service for female travellers over 50 years ago, to unexpected moments at the breakfast bar. In Fiji, for instance, Hilton’s Team Member Wilisoni Buadromo has a singular vision to make education accessible to the poorest children. As part of the Thrive@Hilton sabbatical program, he chose to become a volunteer tutor at Foundation for the Education of Needy Children (FENC) and participated in fundraising drives. Empowered by Hilton, he is able to put his cash grant to use in supporting children whose families are still struggling to recover from hurricanes or who are otherwise unable to attend school regularly. The Hilton Effect by Chip Heath and Karla Starr is available for download on Amazon here.